This is a guest post with tips to enjoy San Diego vacation on a budget. So, if you’re callifornia bound this summar, this might come in useful. Enjoy the post from Jennifer Osbourne. San Diego needs no introduction to aspiring tourists. It’s got sunshine, perfect weather, oceanfront property, and laidback people with sunny dispositions. But, the cost of living in southern California is astronomical! So, how do you keep it classy in San Diego while maintaining dollars in your pocket? Owning property in San Diego costs a hefty fee but visitors get to enjoy much of its outdoors for little to no cost. For example, Mission Trails has family friendly trails and a large visitor’s center, where children can see animal specimens, study the history of the Kumeyaay Indians, and play with a number of “please touch” exhibits. Plus, families engage in the Family Discovery Hike taking place every fourth Sunday at 3 o’clock. Best of all, the cost is free! Torrey Pines State Reserve has great hiking trails fit for family members of all ages. However, leave your dogs at home or back at the great hotel you found via Hipmunk, hotels.com, various travel sites, etc. Also, food and drink (except water) is not allowed on the trails, so be sure to fill up at one of San Diego’s fine eateries before you plan a long day hike. Within Scripps Ranch rests Lake Miramar Reservoir, a popular spot for cyclists, joggers, walkers, rollerbladers, and those who want to relax and picnic. A paved, 5-mile stretch envelops the lake filled with geese and ducks. A quick trot down the road leads to a quaint pond (also filled with ducks). The Scripps Miramar Ranch Library is stocked with duck food you can purchase for a small fee, presenting loads of fun for adults and kids of all ages. There’s no cost to visit the Reservoir, and the library is open during the week and on Saturdays. Don’t get all your lake fun in at the Reservoir; Santee Lakes costs less than $10 (A day fishing permit costs between $6-9) and is open on the weekends. The east-county site is great for biking, fishing, or lounging with family and friends. San Diego is filled with opportunity to surf and exercise, but if you’re yearning to relax, head to Balboa Park, replete with museums, local musicians, and friendly faces. If you’re bringing along the kids, you’ll want to stop at the Marie Hitchcock Puppet Theatre (cost is $5 per person). There’s more park to be had; Chicano Park (under the Coronado Bridge) is spacious with colorful murals throughout. Each piece of art depicts a different element of San Diego’s Mexican-American culture. It’s a great place to teach kids about different heritages and art appreciation. And, it’s yet another great location that is absolutely free of charge. If you love to tour farmer’s markets, San Diego hosts over fifty of them throughout the year and days of the week. Find local and seasonal produce offered by local and touring vendors. It’s also a chance to entertain kids, with balloon artists, face painters, and magicians patrolling the crowds. While individual food and art items are not, all of the markets are free to enter. However, if you’re looking to fill time and your stomach, farmer’s markets have delicious food that won’t break the bank. If it’s one thing San Diego has besides sunshine, its beaches. Considered the city’s greatest natural assets, you don’t want to spend time here without taking a tour of the number of beaches. Whether you want to go to get a tan, surf, swim, or spend time with family, you’re in for hours worth of entertainment. Walk the boards at Pacific Beach and Mission Beach; watch dogs play at Dog Beach (at Ocean Beach); or, spend the day with family at Coronado and upon La Jolla Shores. If you love the water, there’s also Mission Bay, where you can see boats sail, feel the breeze, and sit back and enjoy the present. About the author – Jennifer Osbourne works as an event planner. She enjoys sharing her travel experiences online. 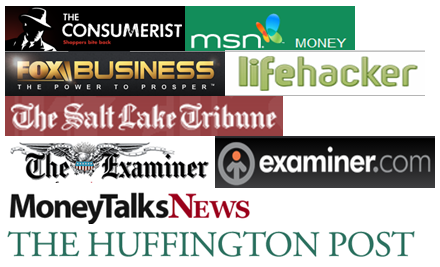 You can find her articles on many business and travel sites. 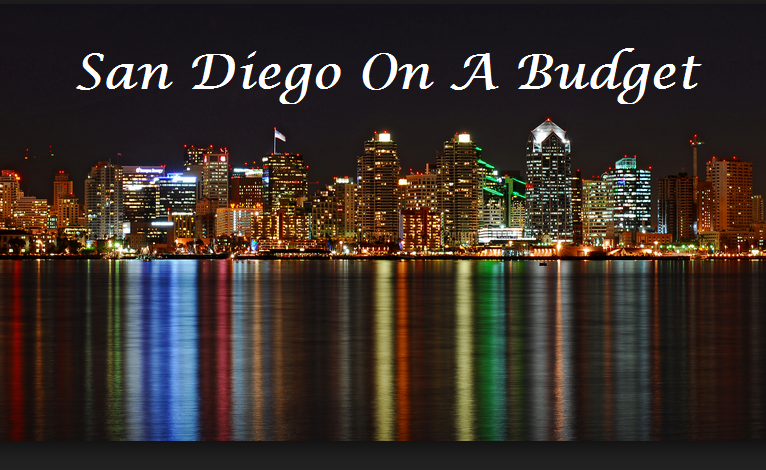 Great ideas for San Diego on a budget! I’d add Old Town as there are fun shops and sights that are free there. The first Tuesday of each month, some of the museums in Balboa Park are free, so if you can plan to be there on a Tuesday, even better. Julian is another popular tourist destination, as is our Children’s Museum Downtown.